While others were busy showing what their automobile has got, Yamaha displayed a marvel of engineering and AI at the Tokyo Motor Show. It wasn’t just any superbike or a green fuel motorcycle, but a humanoid that could effectively control and zoom on Yamaha’s 1000cc R1M. 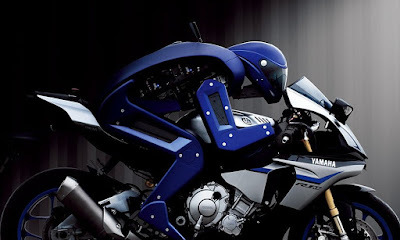 Yamaha pulled a big one in the Tokyo Motor Show as it showcased its superbike riding Robot rather than any showing any ceremonious unconventional motorbike. Named Motobot, this humanoid is improving every day to give the champion racers a run for their money. As humans were already pissed off of the fact that machines would take their jobs becoming a doctor, lawyer and architect, Motobot and the flavour of the season, self-driving cars, have taken the drivers’ seat as well.hile others were busy showing what their automobile has got, Yamaha displayed a marvel of engineering and AI at the Tokyo Motor Show. It wasn’t just any superbike or a green fuel motorcycle, but a humanoid that could effectively control and zoom on Yamaha’s 1000cc R1M. As humans were already pissed off of the fact that machines would take their jobs becoming a doctor, lawyer and architect, Motobot and the flavour of the season, self-driving cars, have taken the drivers’ seat as well. Motobot is the product of an intense R&D effort in robotics technology and Yamaha’s aim to create a robot that could cruise any unmodified bike. And if you are a rider yourself, you would understand that this task is no easy. 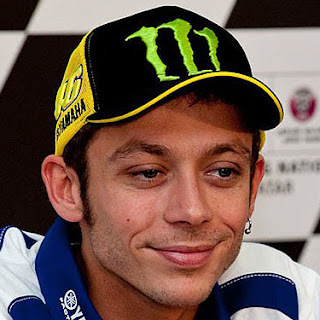 Yamaha released a video showing Motobot riding its superbike with ease and in its childish voice even called out the MotoGP world champion, Valentino Rossi as he said, “I am improving my skills every day. I was created to surpass you.” But, unlike other superstars, Motobot is quite humble and realises that he needs to learn from the master to catch up to him. The superbike riding robot has caught every speed lover’s attention for the ultimate battle between the man and the machine on a superbike. However, the makers are still working to improve Motobot skills until it touches 200 kph on a racetrack. Yamaha wants to use its state-of-the-art technology to ‘pioneer new lines of business’ which has left many wondering what could it be! Could we be witnessing a humanoid MotoGP now?